My world fell apart. Suddenly, I felt the whole burden of the responsibilities and problems of our family shift to my shoulders. That was not what my mother intended, but that was how I felt. In response to the anxiety, I regressed and started wetting the bed, for which I was punished. I eventually got past that. I also started biting my nails, an anxiety habit I still struggle to overcome sixty years later. My mother’s mistake was honest and well-intentioned. She wanted to enroll me in the change, and make me feel important, but she had no way to assess the effect her statement could and would have on me. It changed my life forever. How can parents do better? What, specifically, can we do to act responsibly as parents to guide our children through the aftermath of divorce? 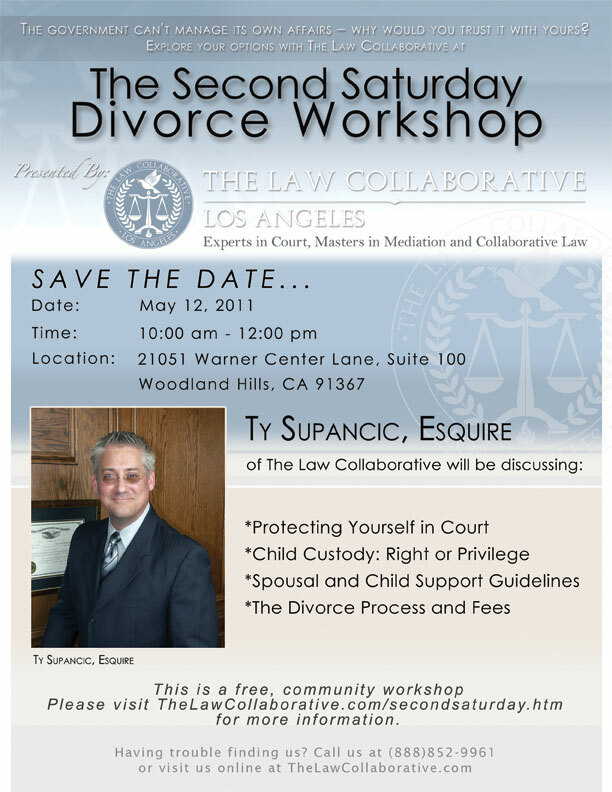 On Saturday, September 10, I am presenting the Second Saturday Divorce Workshop at The Law Collaborative office in Woodland Hills. Among the various topics covered, you will hear from a licensed mental health professional discussing what we, as parents, can do to help our children cope with divorce in a healthy and productive manner. Don’t have kids? 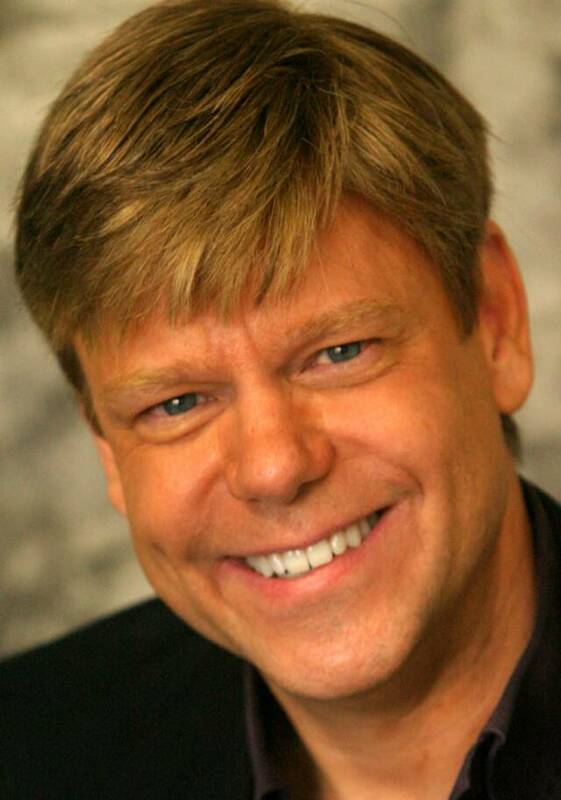 We’ll also be teaching communication skills necessary for dealing with a difficult Ex. We’ll cover the divorce process from beginning to end, how to protect yourself in court, the Seven Options for Divorce, and what to do if you feel your case isn’t going anywhere. Certified Divorce Financial Analyst Irene Smith will provide important financial information for anyone going through or contemplating divorce, including common tax pitfalls most lawyers don’t know about. Breakfast is included. You may not be thinking about a divorce or going through one, but someone in your life, someone you care about needs this information. We thank you in advance for passing this invitation on. Also, this month we are offering a free retirement seminar presented by Irene Smith of Smith Financial Management. If you are concerned about the recent economic downturn, then Retirement Illusions: Where do we go from here? is for you. Join us on Tuesday, Sept. 20, from 6:30 p.m. to 8:00 p.m. for a comprehensive review of the challenges you’ll face during retirement and discover strategies for a lifetime retirement plan. Dinner is included. 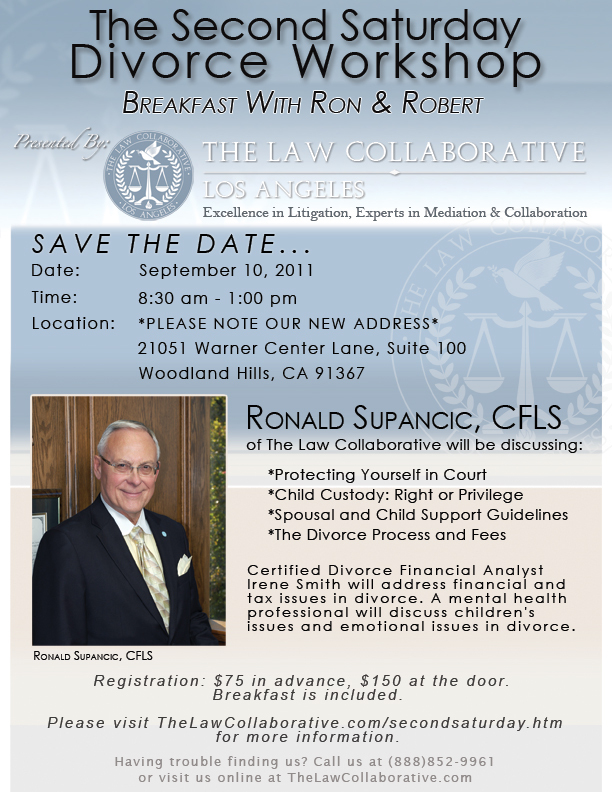 RSVP before Sept. 15, 2011 by calling (818) 884-4888 or RSVP online at www.thelawcollaborative.com/events.htm. 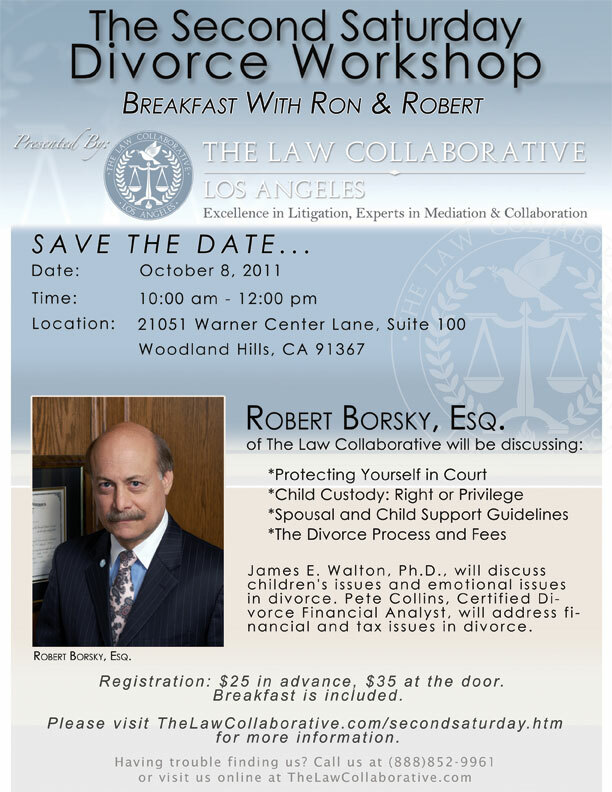 This post is brought to you by The Law Collaborative’s bi-monthly newsletter. Sign up for the newsletter HERE. We still have two fantastic events this summer. 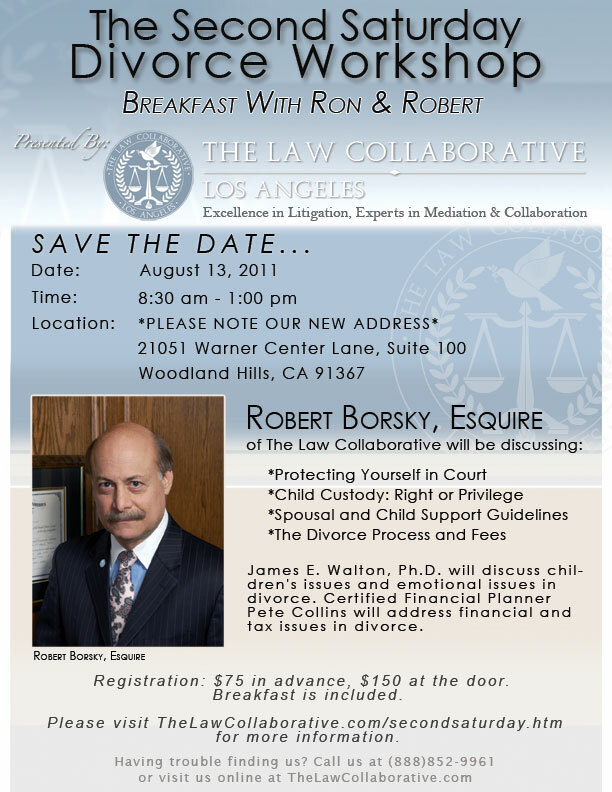 On August 13th, we have a Second Saturday Divorce Workshop featuring Attorney Robert Borsky, James Walton, Ph.D., and Pete Collins, CFP, covering child custody, spousal and child support guidelines, how to protect oneself in court, and the divorce process and fees. Our much anticipated Wine Tasting and Real Estate event on August 16th will be hosted by Irene Smith, CDFA, with guest speaker Dvir Levy, Regional Vice President of Wells Real Estate Funds. For the Second Saturday Workshop, register online here and get 50% off the registration fee, or call us toll free at (888) 852-9961. 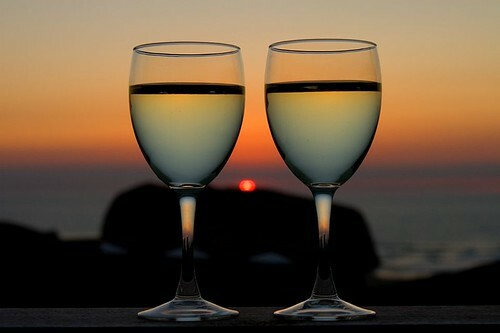 For Wine Tasting and Real Estate, click here to RSVP online, or call us toll free at (818)884-4888. This page took 0.518 seconds of computer labor to produce.